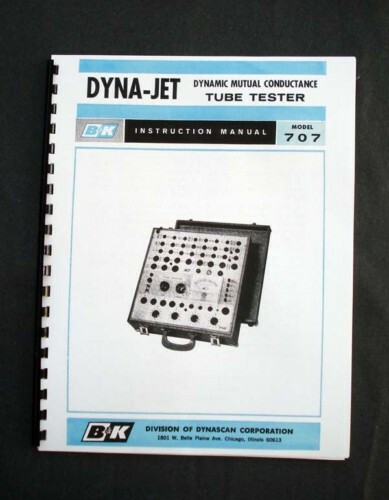 For sale is reprint of B&K Dyna-Jet 707 Dynamic Mutual Conductance Tube Tester manual. 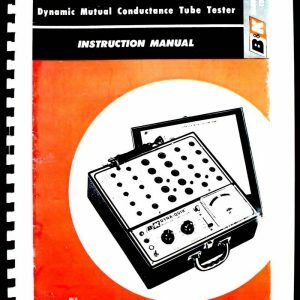 Tube Test Data section is 24 Pages long. 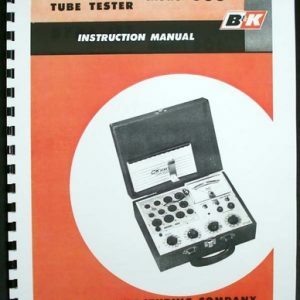 Tube test data is 1978 version with latest 1981 Supplement. 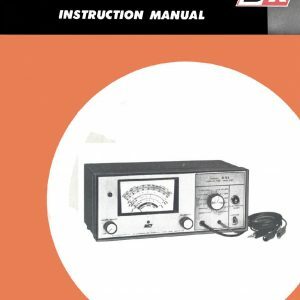 Includes Service and Calibration Adjustments Page and double sided 11×17 Foldout of Circuit Diagrams. Real Paper Manual. Quality Printed and Comb Bound. Printed from available copy or scanned from original at 600dpi, restored in Photoshop, Laser printed on premium acid free paper, they will serve for years. 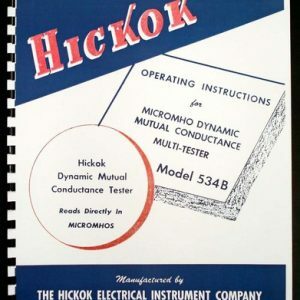 Most manuals Include foldout of Circuit Diagram. Cover page printed on Cover Stock.